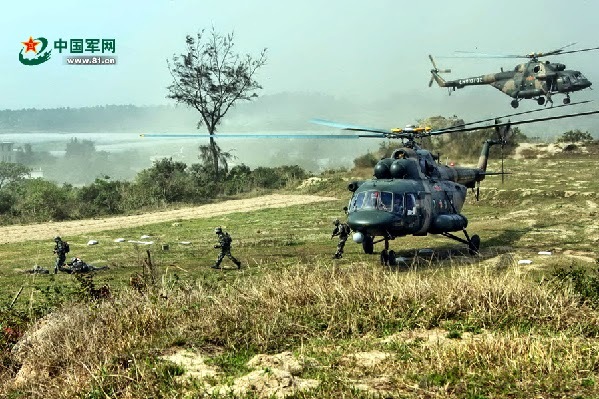 Nanjing Military Area Command (MAC) of the Chinese People’s Liberation Army (PLA) Soldiers carry out copter landing drill. Images shows the soldiers carrying out a copter landing drill. A regiment under the Nanjing Military Area Command (MAC) of the Chinese People’s Liberation Army (PLA) carried out a drill.